RFPIO’s Communications Manager, Josie Fey, recently sat down with Lisa Rehurek, founder of The RFP Success Institute and host of a weekly podcast called The RFP Success Show, to discuss the emergence of RFP software, RFPIO’s competitive differentiators, and the efficiencies it brings to companies in the RFP response process. The RFPIO team met Lisa at APMP’s Bid & Proposal Conference earlier this year, and invited her to speak at our User Conference 2018 this October in San Francisco. She has an extensive background in RFP responding and consulting, and is a proponent of using tools like RFPIO to make the process more strategic. Lisa: Let’s kick it off with you telling us a little about your background, and what it is that you do. Josie: Sure, my name is Josie Fey and I am the Communications Manager at RFPIO. I’ve been here for a little over a year. The company has been around for just over two years, so we’re still kind of in startup mode but we’ve grown really fast. I handle communications, marketing, public relations, and internal comms. We did have our User Conference recently—our first two—so I did a lot of interviewing and talking with clients while we were there too, and that was really exciting. Lisa: Let’s talk about RFPIO, the technology, and what it does. 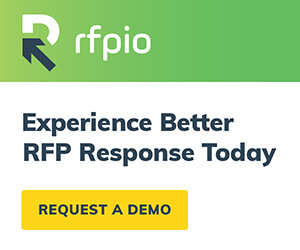 Josie: Very simply, RFPIO is a cloud-based RFP software that makes the process of responding to RFPs and security questionnaires and all varieties of those, easier, more efficient and more collaborative. There are two big things that RFPIO does: it’s a hub for collaboration, so you can contact people, assign out questions to subject matter experts and any other collaborators. It’s also a repository for your question and answer content. Everything stays in one place and can be recent and updated and approved. If you have your processes in place, it makes things that much easier in the response process. How Does RFPIO Manage Document Control? Lisa: One of the things I hear is that it’s so much work to get those answers updated in order to put them into the software. What would you say to that? Josie: That does matter. It’s an automation platform but it needs people to make it work. It’s just like any kind of database, you have to be careful what you put in there. We talk with our clients about having a review cycle every so often—checking in on that stuff, making sure it’s the right content—but the beauty is that it’s all in one place. So everyone can go to the same place to check it out and it’s not two or three or however many people with different versions. Lisa: Can people collaborate on a document at the same time? Like you can with a Google doc where people can be working on it at the same time, and it’s saving all versions that are happening. Does it work like that in RFPIO too? Josie: Yes. The nice thing too is that, like Google, you can assign different sections to people. So most of the time it’s one person working on one question and a different person working on another, but they can do that at the same time for the same project. Lisa: That’s really huge because one of the pains that my clients feel is document control. Who’s got the latest version and, “oh shoot I thought I made some changes in this, but I forgot to send them to you, and then I didn’t track them in tracked changes, so I don’t really remember what I made” and it can be a nightmare. This software really makes a difference with that. Josie: Right. That’s one of the big benefits. There are also other formats of these documents. A security questionnaire that’s really long, a spreadsheet with lots of questions, looks different than an RFP, and we can support that too. You can import these documents and start working on them right from the document. Lisa: You can import it right from the RFP itself? Josie: Yes. You just import the document right in. We actually have a patented process for that. In fact, RFPIO stands for Request for Proposal Input Output. So that’s kind of the point. You can pop this document in, do all the things you need to do, work with people, get the content in there, do your formatting, either on the source file or on a branded template, and then output that beautiful document very easily. What Are RFPIO’s Competitive Differentiators? Lisa: That’s pretty amazing. You know, I have a lot of clients that are small businesses that think these softwares might be too big for them. What’s too small for RFPIO? Josie: We work with companies that have just a one person team, and we work with enterprise level companies with teams of hundreds. The way we’ve set up our pricing model is different than our competitors, and in most cases, the better way to go. We do it not by individual licenses, but by projects. So if you’re a company that’s not doing a lot of projects in a year then this might not be right for you. But not having an individual license model means that you can scale. Lisa: That’s a key differentiator to understand. There are other software companies out there that do this. Back in my early days, I worked with a company called RFP Machine. It was so hard, and of course the cloud didn’t exist back then. What stands out about RFPIO from your competitors? Our technology. The import technology we have patented so we are innovators in that area. We also were first to put AI in what we call the Answer Library, where content is stored. There’s a recommendation engine, so if you go in, kind of like you might notice from [Gmail]. It learns from you and understands, do you want to email this person? Because last time you emailed this person about this—contextually relevant information. RFPIO can do that when you’re looking for an answer to a question; it learns. You’ve worked with Lisa on this before, do you want to assign her anything? Or, you’ve used this answer before, does this look like the right one? So it speeds things up even more, and makes things more efficient, because it’s smart. Josie: Second thing is, when we had these user conferences I had a lot of interviews with people and I heard over and over that our customer support is incredible. And I believe it, I work with these guys all the time. It’s really important to our founders to be people centric—and that’s for our team and our clients. The technology can be wonderful but it’s the people that make this happen. We take a lot of feedback from clients, so if there’s something that’s not working quite right or isn’t intuitive, we talk to our development team and they may change it. And sometimes those requests turn around in a week, so clients are really impressed by that too. And I’d say the third thing is that pricing model, that’s really a differentiator. I think that separates us from the competition because in many cases a company needs to scale up or down. We want this to be collaborative, so that’s why we did that. Lisa: And you know what’s cool about that, I have a client, one in particular that comes to mind, and they’ve got 250 people and there’s always the core group of people that work on a proposal, but at any given time those 250 people could be assigned maybe 1 RFP in a year, so do you get them a license? Is it worth paying for a license for that one user? Josie: It seems as though it’s easier for companies to predict how many RFPs they may get in a year. We know that we typically respond to this many, but bringing people in is different. With RFPIO you also have the ability to bring in people outside the company. Lisa: Oh that’s cool, like a subcontractor or partner or something like that. I love that, that’s very cool. How Does RFPIO Help With User Adoption? 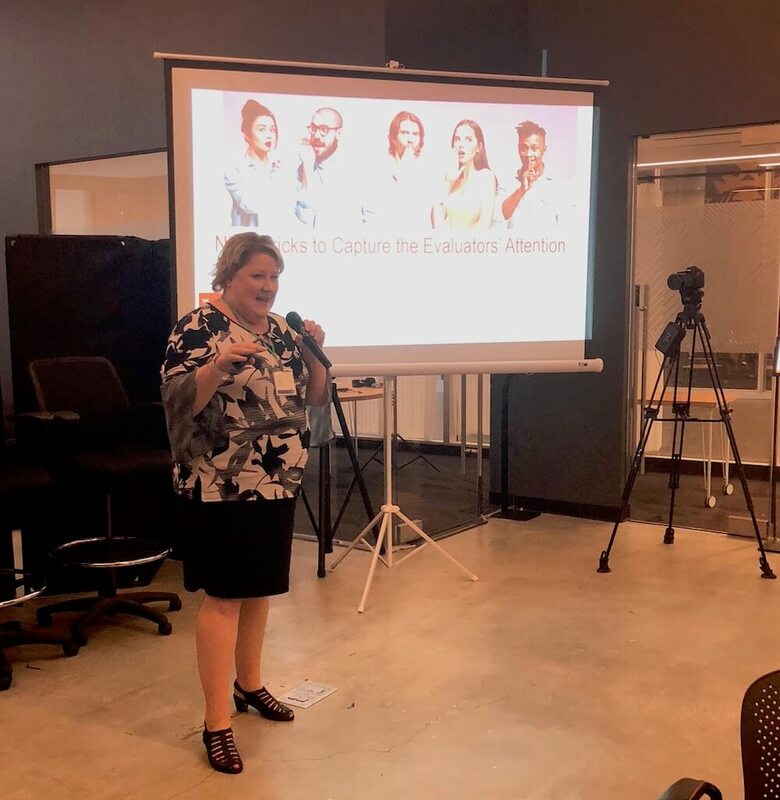 Lisa: One thing that stuck out to me when I talked to one of your clients was, she said they have easily saved 50% of their time using this software. And I’d like to talk about this, because back to my comment about people saying it’s too hard to get up and running, well it might take a little effort on the front end, but on the back end, here’s what it’s going to save you in the long run. Can you talk more about that time saving? Josie: I think new technologies, no matter how easy they are to use or how intuitive they are, do sometimes—not scare people, but it’s like oh great now we have to learn a new tool. Lisa: I think it is scary sometimes, or can be bothersome. Josie: Right, or it seems like, this is going to add to my workload. Now I have to learn this new thing and work in this new system and I just don’t have time for that. In the RFP world especially, by the time people get to us, they’re being challenged by this process already. So when I talk to people, they’re so grateful to know there’s even a solution available. I think sometimes with technology it sometimes creates a problem that it needs to fix, we all know examples of that. This is not that. People are so grateful for something like this. When it comes to saving time—I’ve had clients tell us they spent hours just making sure fonts are the same. It’s document control and content management and making sure everything has the same voice. And when everything is in the same place, it’s a lot easier for the people reviewing it to make sure that everything sounds right and it flows right and you’re putting your best foot forward. And then also communicating with people. All of our inboxes are full and we’re constantly being inundated, but if someone gets this particular notification that says, please just answer this one question, it saves everybody time. Those are the two main things that people tell us, it helps them collaborate better and save a lot more time. Lisa: Yeah the formatting issue is interesting because, with version control, no matter what, when we’re shoveling around a word document, I maybe have spent a bunch of time formatting it and then in a final look, somebody may have changed something. And just in the transition from them back to me, all the headers get out of whack and the headings are changed or a font gets changed on one page, oddly. So you’re saying the RFPIO helps prevent that? Josie: Yes, absolutely. You can have it branded in your own way, and there are ways to templatize your documents as well. Lisa: Nice. The other thing I noticed when I was getting the demo is that it doesn’t have the feeling like, you know back to what my experience was like with RFP Machine, it felt like at that time that we had to do everything for it to really work. But with RFPIO, it felt like you could kind of start easy, and small, and you could start with one piece of the puzzle and learn that, and then maybe move on to this next piece. You don’t have to learn the entire system all at once. Is that a correct statement? Josie: Absolutely, in fact, another hats off to our customer support team. Part of the process of onboarding new customers is to have them send us an example RFP that they might respond to, some questions and answers that they’ve used before, and then we go through an example process. We help them populate their database a little bit, we try to get all the stakeholders, all the people that might get involved—there are different roles that people are assigned in RFPIO, which helps manage access—we go through the process of that first before we send them off on their own. By the time they’ve gone through the initial onboarding and training, they should have their teams figured out, their roles figured out, their answer library content started, and have gone through a project so they know what they’re doing. 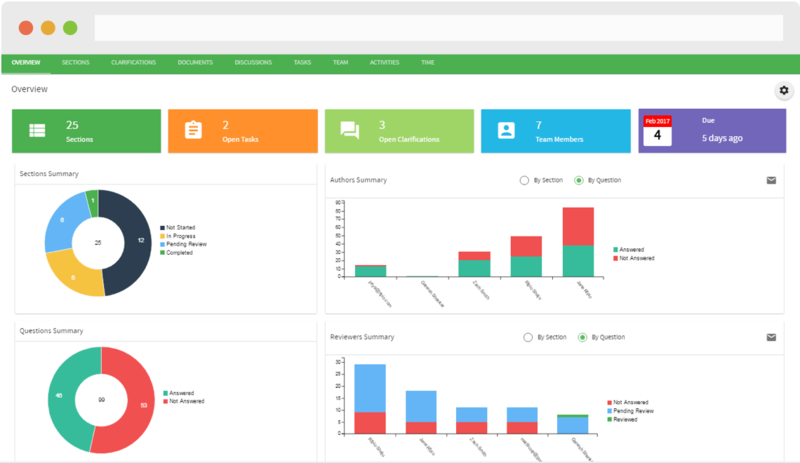 What’s RFPIO’s User Experience Like? Josie: It’s so intuitive. Our founders all responded to RFPs before they decided to do this. Lisa: So they felt the pain! Josie: They were very aware, so they really thought through the user experience too. Like, when somebody inputs this document, what’s the first thing they’re going to want to do? And how does this process go? So they made it really intuitive and easy for people in a way that just makes a lot of sense. Lisa: Your user interface is amazing. It’s super easy and super intuitive. I was very impressed with that. A lot of time with these technologies they get overthought and over processed and the user experience gets lost in that. I was very impressed with that piece of it, so kudos. Josie: We do take user feedback really seriously, and there are lots of different ways they can provide us with that feedback, so we’ve made changes based on that stuff. They’re the ones who are using it, so, they’re the experts really. We want to make it easy for them and save them time. Because the more time they save, maybe the more RFPs they can do and the more money they can make. So it’s good for business to be efficient. Lisa: It is, and it’s good for the team too. Because the team gets tired of bidding on things that they lose, or bidding on things at the last minute, the arduousness of bidding, where the process is a hot mess, you know, dealing with people that are not getting their stuff back. There’s a lot to be said for the pressure that it puts on the team that’s responding. And that can cause problems down the road if the team’s not happy. So there’s a whole lot going on here. It was really clear to me too, and I know that I’m kind of tooting RFPIO’s horn here a lot, but it’s because I was very impressed. 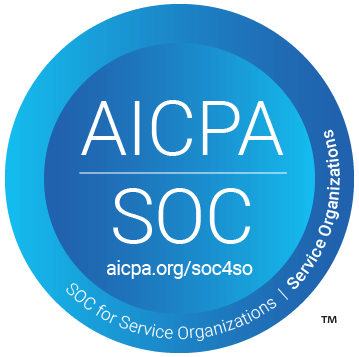 Not just from my interaction at the user conference, but also with my experience with you guys at APMP and how you guys connect with your clients. Hearing what your clients had to say, and their experiences working with your customer support team, that is also something that gets lost in translation with technology a lot. Here’s a technology you’ve bought and now you’re on your own. You guys are really hands on and very close to the ground. Lisa: So how long does it take to get a technology like this up and running? Josie: The nice thing about RFPIO is it’s just a turn-key solution, cloud-based software. So, you just sign in and you’re ready to go. But like I said, we don’t just leave it at that. It’s very easy to get it up and running, there’s no deployment that you have to do, but we also make sure that we’re there for customers in that first phase to make sure they know what they’re doing, and can ask questions, and run through a couple projects before they’re off and going. But, most of the time they tell us—again they’re so ready and anxious for a solution that they’re just on it—but as soon as they get it they can just sign in and start working. Lisa: It is true, I think in the RFP world in general we’re always in reactive mode. One of the things I try to work on with my clients is getting them into proactive mode. And it’s really hard, and they need tools and resources like this, in order to help them do it. I would encourage anybody listening, if you’re thinking, “well we don’t answer enough RFPs in a year,” just pick up the phone and schedule an appointment with RFPIO. Because you never know. Anything like this that can bring in potential efficiencies—the people I talked to at the San Francisco user conference, they were talking about significant time savings. It can and should be done and this is the perfect tool to do that, so I am excited that you were here, Josie. Thank you so much for being here.